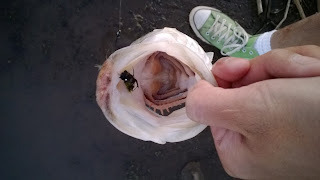 The chenille minnow is a bit of a specialty fly that I came up with to fish Horseshoe Lake. Snagging and losing flies that take a fair amount of time to tie was a huge issue that I ran into while learning the lake. After a few trial-and-errors I was finally able to design a pattern that was bare-feathers, easy to tie, and most importantly worked. Step 1 - Begin by starting your thread and tying on the bead chain eyes. 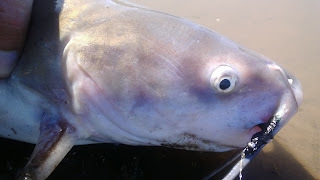 Make a few extra figure eights wraps around the eyes to keep them secure. 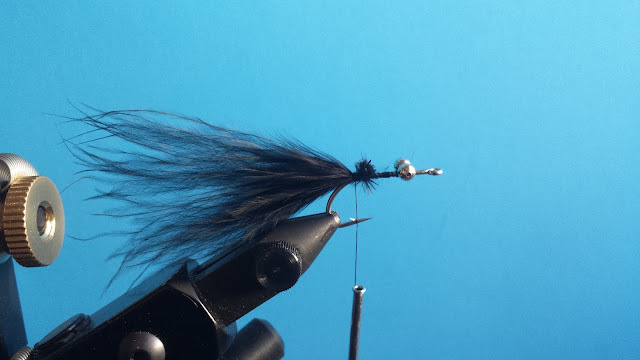 Step 2a - Tie in a good clump of marabou. Be sure to wrap close to the plume for the best effect. Cut off the excess. 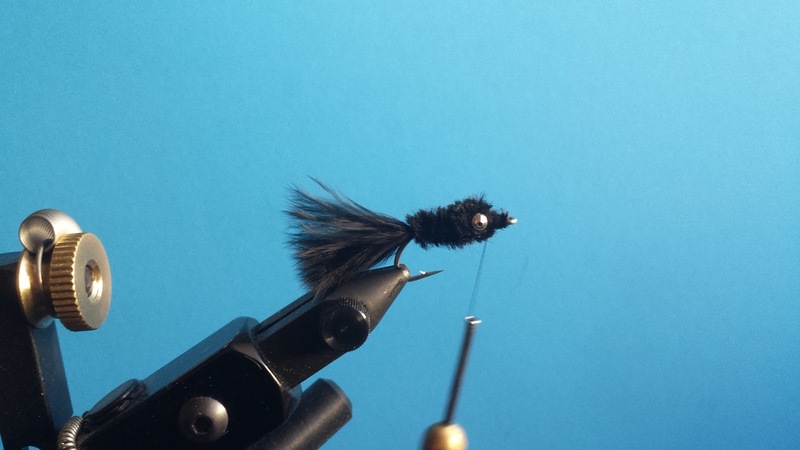 Step 2b - Use your fingers to pinch off about half of the marabou feathers. 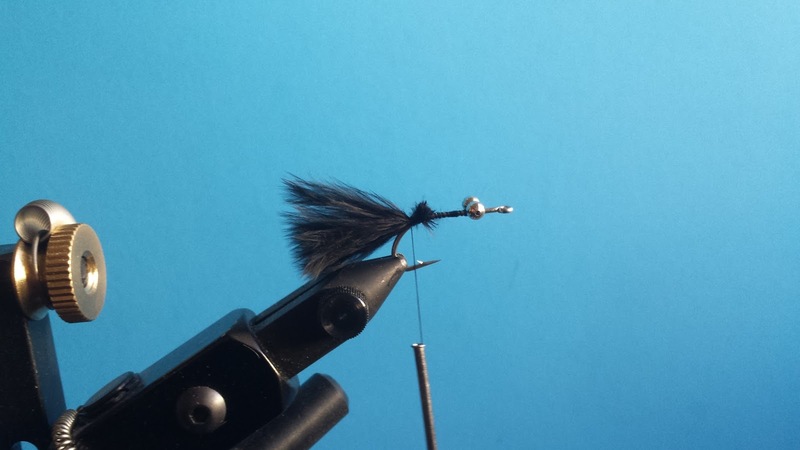 You should have about a hooks shank length of marabou. Step 3 - Tie in the chenille and begin wrapping the chenille around the hook. Make a few extra wraps behind the bead chain eyes to get a taper then wrap around the eyes a few times. 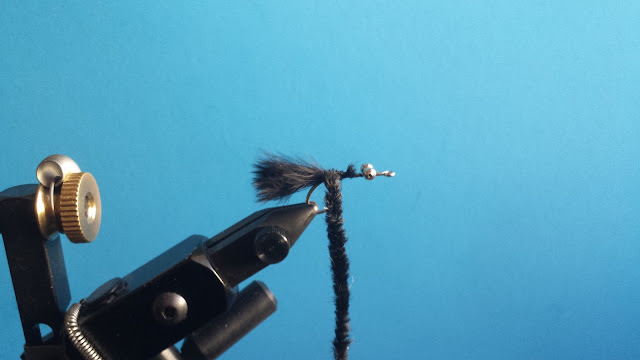 Step 4 - Secure the chenille behind the eye of the hook and whip finish. 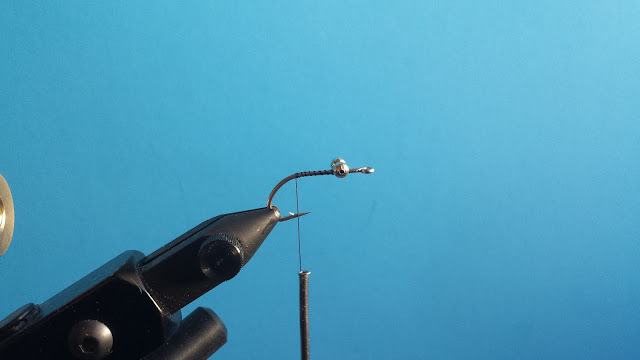 You can add a drop of zap-a-gap to make sure the thread doesn't come loose. The chenille minnow works well because it matches the mosquito fish that populate Horseshoe Lake. 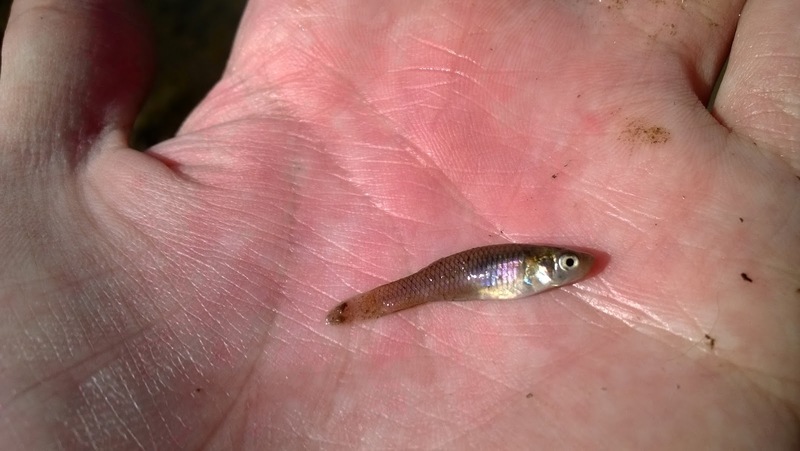 Although the lake is very turbid, I believe that the black silhouette of the chenille minnow can be seen by the fish during bright light conditions. 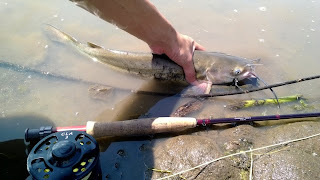 Since mosquito fish are a schooling fish I've had success fishing a double streamer rig with two chenille minnows. More often than the not the fish took the trailing pattern. 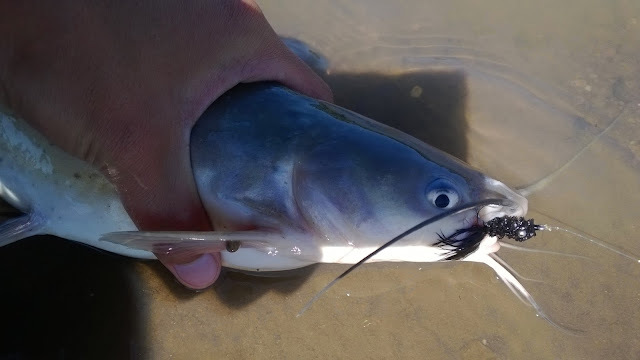 The catfish and bass love this pattern. 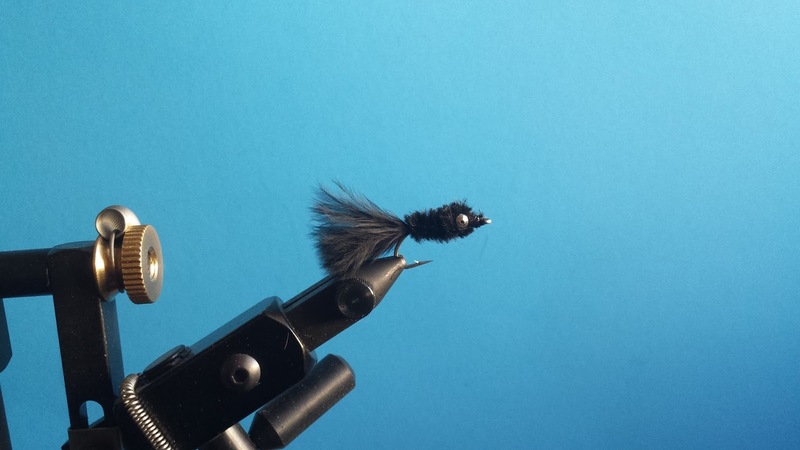 The chenille minnow is a specialty pattern because I have not had any luck fishing it anywhere else aside from Horseshoe Lake.